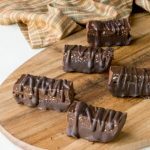 These delicious Chocolate Fudge Protein Bars are a no bake recipe that’s low carb, sugar free, gluten free and nut free as well! Perfect for a healthy, grab-n-go snack and packing in lunchboxes! When it comes to chocolate bars, I love it all; creamy, salty, chewy, nut filled, coconut filled, etc. I’m all in when it comes to chocolate. But I’m not all in when it comes to sugar. Making a chocolate bar for just the sake of snacking wasn’t my plan here. If I’m going to have a snack I want it to include a good amount of protein and fat and of course low in carbs. 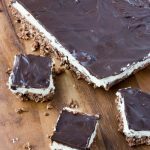 This recipe came out of a little desire for my youngest to have a chocolate bar that was homemade knowing exactly what’s in it. If you’ve not followed me for very long you might not know my youngest has a tree nut allergy. It’s been a few long years of struggle trying to find anything store bought that didn’t cause a reaction for him. 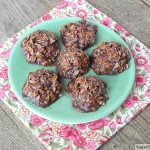 My desire has always been to make most of the recipes on my blog nut free for him. 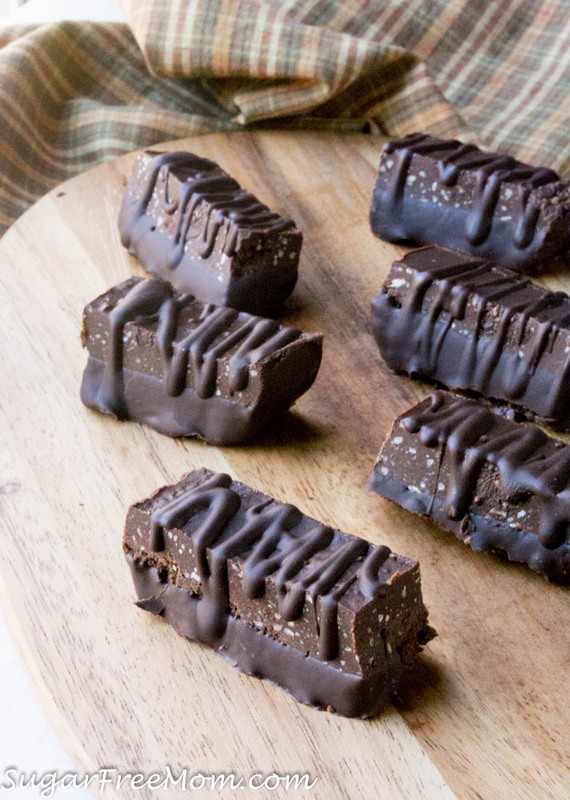 I’m particularly proud of these little fudge bars. 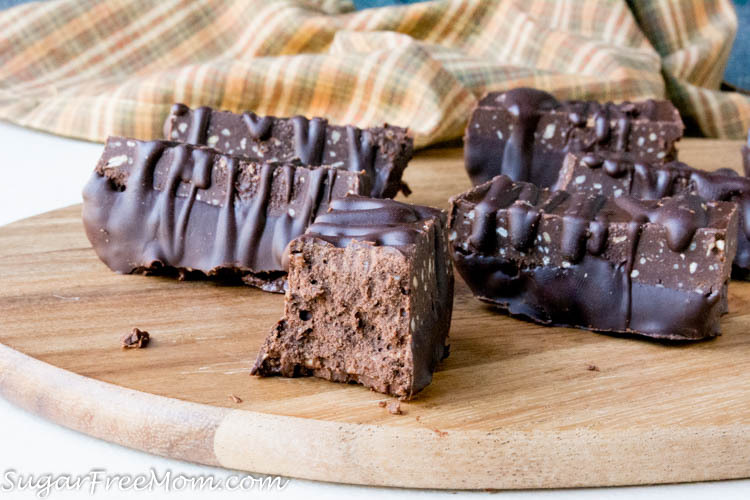 They have great texture and a smooth creamy fudgy feel in your mouth. 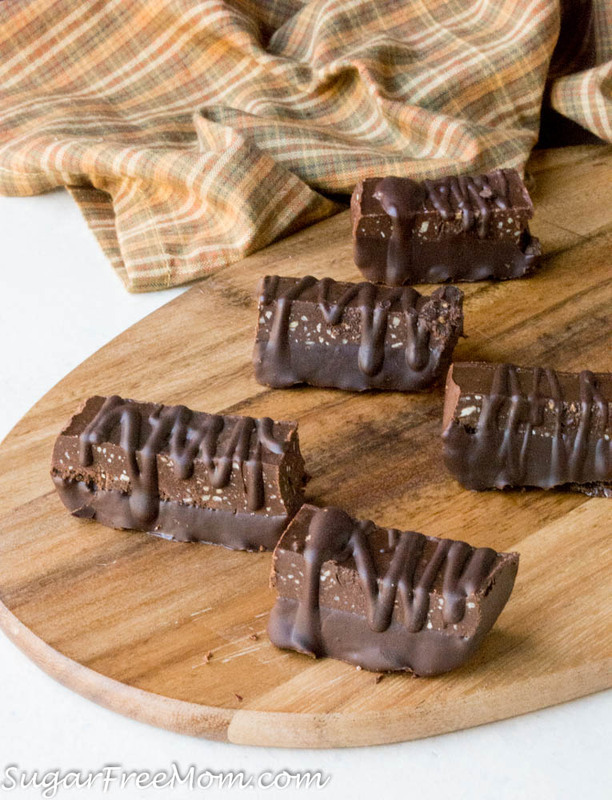 Have you ever had a Nestle crunch bar? Well this almost has a slight crunch to it coming from the grounds sunflower seeds. Having some difference in texture really makes this satisfying. 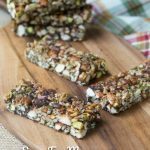 I try to use sunflower seeds often as a wonderful replacement for what most nuts do in a recipe. 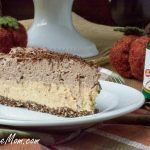 Some other recipes you might like: Grain Free Nut Free Sunflower Seed Bread, and if you need a fabulous pie crust recipe try this No Bake Coconut Flour Chocolate pie crust. This picture makes me think of those 3 Musketeer bars from when I was a kid. But the recipe today doesn’t have that light and airy texture as a 3 Musketeer would have. These are dense with a slight crunch and complete fudginess through and through. 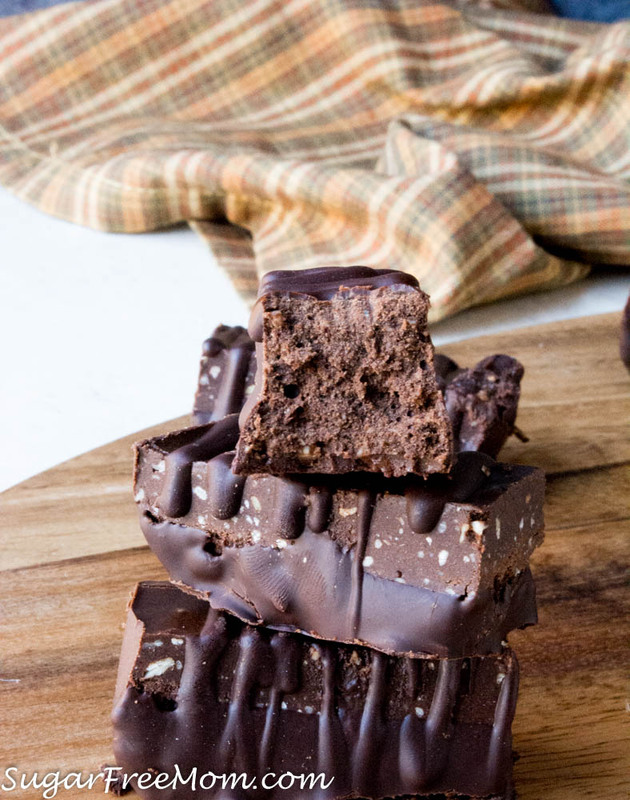 Whether you’re just having a craving for chocolate or need a little afternoon pick-me-up or simply want a treat, these little bars are perfect for any occasion. Store them in the fridge for up to 2 weeks or freeze for a month and thaw whenever you like. If you don’t have nut allergies in your family you can sub the sunflower seeds for any nut of choice you like. You can also replace the sunbutter with any nut butter you like. If you don’t have Sukrin Melis, another confectioners style sugar free sweetener would work, like Swerve. You could also just choose a sweetener you enjoy, add a small amount then taste and adjust to your liking. Butter can also be replaced for the coconut oil. Slice into 8 bars then cut bars in half to make 16 bars. Freeze for 30 minutes if you are planning on making optional coating. If using optional coating, melt chocolate chips and butter in microwave for 1 minute or stove top. Stir until smooth and no lumps. Dip the bottom half of the bars into the melted chocolate and lay on a parchment lined baking sheet. Drizzle more chocolate on top of bars if desired. 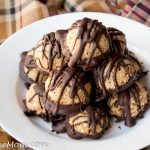 WOW… thank you so much for this recipe… g’kids have nut allergies & they are going to love these !! 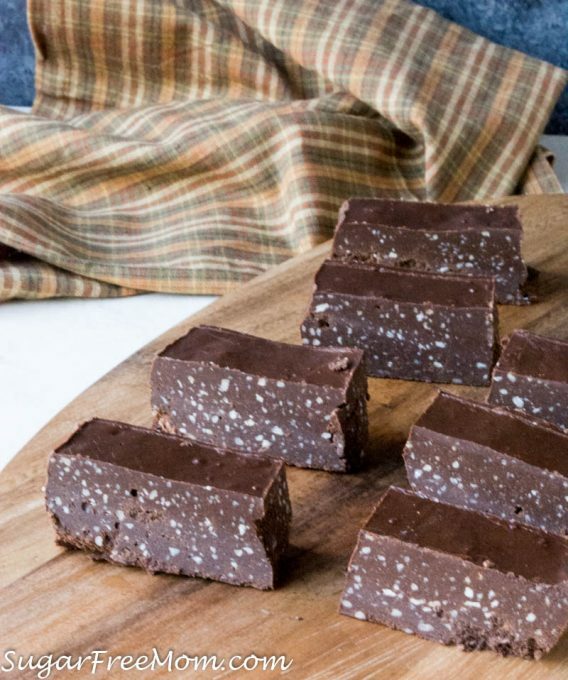 Good Morning – I want to make these bars for my hubs and I however he is allergic to coconut products – so what can I use in place of coconut oil? Also we don’t have the powdered sugar replacement here in our town’s natural food stores – so what else can I use – splenda? truvia? I should be able to find the sunbutter, but if not can peanut butter be used? Thank you for your time. Peanut butter can be used, butter can be used in place of coconut oil and I would suggest using less of whatever sweetener you prefer. Both Splenda and Truvia may be sweeter than my sweetener so add half the amount than taste it and decide if you need more. Looks Delicious! Just wondering how long one can store these, in and outside the fridge. Any experiences with taking them with you on long days away? They don’t need refrigeration and will stay good for at least a week. If you are away and can keep them refrigerated that would be better especially if in a warm climate. Theses are good, but a quick warning. Quest protein power contains cross contamination from nuts (tree and possible peanuts). So, while these bars don’t have nuts in them the ingredients are certainly not safe for people with nuts allergy. This is a good choice for those without a nut allergy. Mine melt at room temp. Too much coconut oil? My roommate made these and they are delicious! 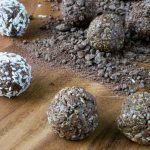 I want to make a batch of my own but am wondering if there is a way to increase the protein (and decrease the fat if possible) without altering the final product too much. Any suggestions? Sorry I’ve not made any alterations to this recipe, that testing will have to be done on your own. Please let me know if you try it and how it works for you. Hey Riley, I’m wanting to increase protein and lower fat too. Did you ever find a good adjustment? Hello! I made these last night with some minor changes. I don’t like to use that much coconut oil as things usually come out overpowered by it….plus I only had 3 tbsp left, so I added the 3 tbsp coconut oil, 1 tbsp duck fat (happened to have from cooking a duck), and 1 tbsp ghee. I also used the brown sugar Sukrin plus some truvia plus some Swerve. Oh yes, I also added a couple of small squares of melted 72% chocolate. OMG, these are so good! Going to take some snowshoeing with me today for energy! Thank you! The nutritional information says 1gram = 159 calories. How many grams does each bar turn out to be (assuming the 16 servings)? I’ve got to edit that, my recipe plug in went wonky and converted all serving sizes to 1 gram on every recipe and I have over 600! Hi, I make 8 Tbsp (half a cup) of coconut oil only 105g, not 162g.